As the pace of innovation continues to gather momentum, one industry in particular is really taking off when it comes to reinventing the customer experience. Airline travel is undergoing several seismic shifts designed to not only enhance passenger comfort, but also make aircraft lighter, more fuel efficient and in turn significantly reduce their carbon footprint. 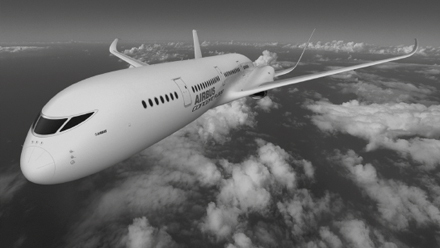 All of this requires game-changing technology and our Automotive and Aerospace Coatings business is at the forefront of air transport’s blueprint for the future, supplying both Airbus and Boeing with innovative, high performance coating systems. For example, we have developed a world class basecoat/clearcoat system which has redefined the application process. Requiring one coat instead of the usual two or three, it also dries in two hours (rather than ten) and offers lower dirt pick-up, resulting in less need for cleaning. The potential weight reduction brought about by using less paint could also mean improved fuel efficiency. We’re also researching other functionality, such as coatings that can change color and provide a tactile feel, conduct electricity and provide tints that influence people’s moods. In addition, we are working on a coating which will stop insects sticking to the exterior and are looking into applying antibacterial qualities to our cabin coatings which will help to improve air quality. As we strive to be even more environmentally progressive, we’ve also turned to nature to look for inspiration. In an effort to reduce drag on the exterior of an aircraft, we’re developing a coating which mimics the structure of shark skin. In the water, it helps the creature to reduce drag, allowing it to swim swiftly and silently. By imitating this, we hope to improve the airflow over the top of an aircraft’s wing.